home to show or to produce beautiful foals! Hopkins Double Trouble – 2010 Filly – Liberty – Sold! 2011 AMHR All Star. Stallion and Classic Driving classes. 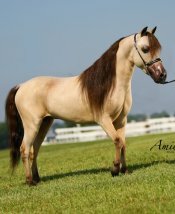 Hopkins Red Robin Hood – 2011 Colt – Sold! Hopkins Double Down – 2011 Colt – Sold! at every show he attended in 2012. Hopkins Double Buckin Too – 2012 Colt – Sold!